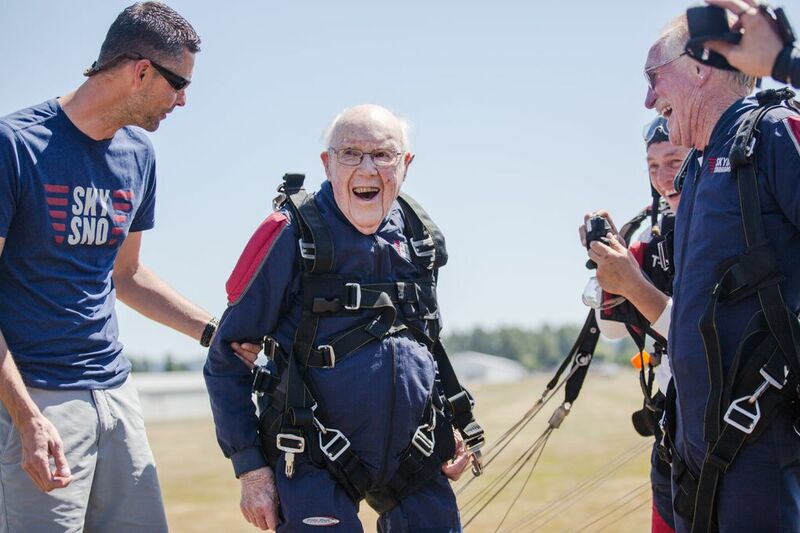 For some, jumping out of an airplane is out of the question at any age. For Stu Williamson, it’s the perfect way to celebrate 100. 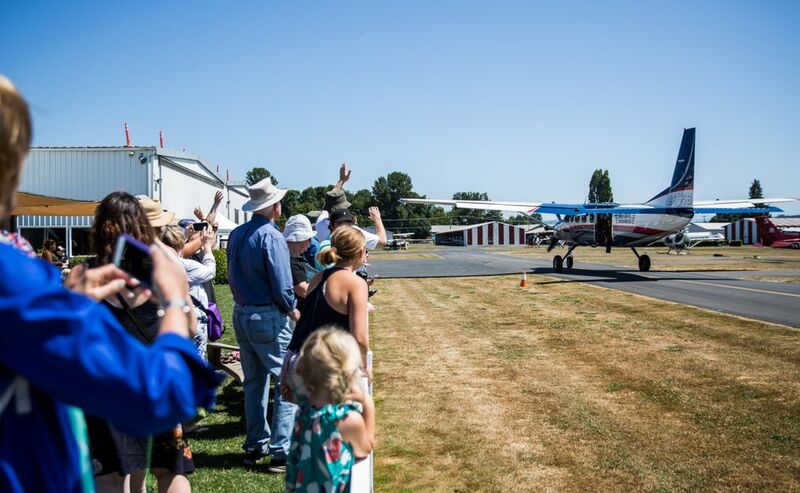 When Robert “Stu” Williamson was young, he dreamed of flying through the air as everyone around marveled at him from below. 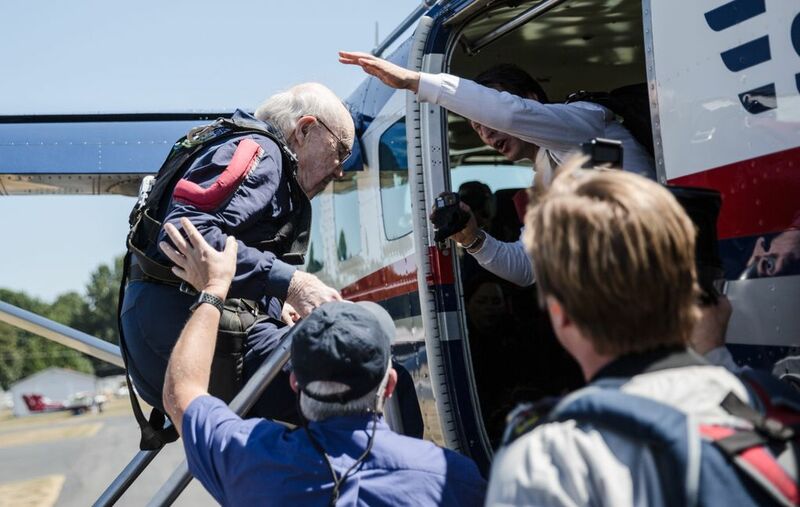 The day after his 100th birthday, those dreams came true. 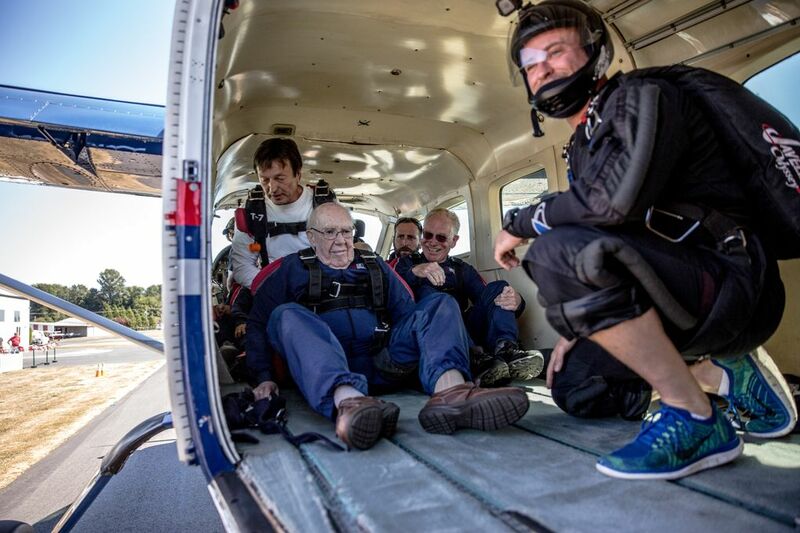 After skydiving the year before in near-secrecy, waiting until the last minute to tell family and inviting only his grandson to watch, Williamson jumped out of a plane for the second time — this time with dozens of spectators waiting 14,000 feet beneath him. 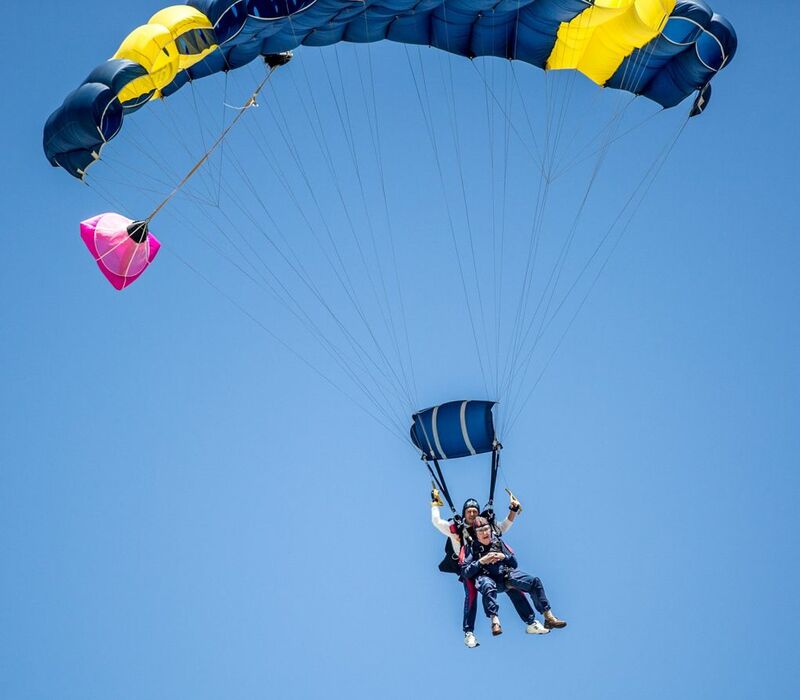 “It’s so beautiful,” several onlookers mused as the sky divers descended. Perhaps they meant the way the big colorful parachutes contrasted with the bright blue sky, or the way that they swirled quietly through the air. But I’m pretty sure they meant Stu. Despite Sunday’s stunt, Williamson never considered himself a daredevil (and still doesn’t, though some would beg to differ). He spent his long professional career — he worked until he was 88 — doing various creative work. He had a stint at a graphic-arts studio in Manhattan, and worked in marketing at companies like Weyerhaeuser, Johnson & Johnson and Kodak. And his family — still somewhat incredulous at his sudden interest in falling from the sky — described him as a quiet man who never had much use for sports, let alone of the action variety. 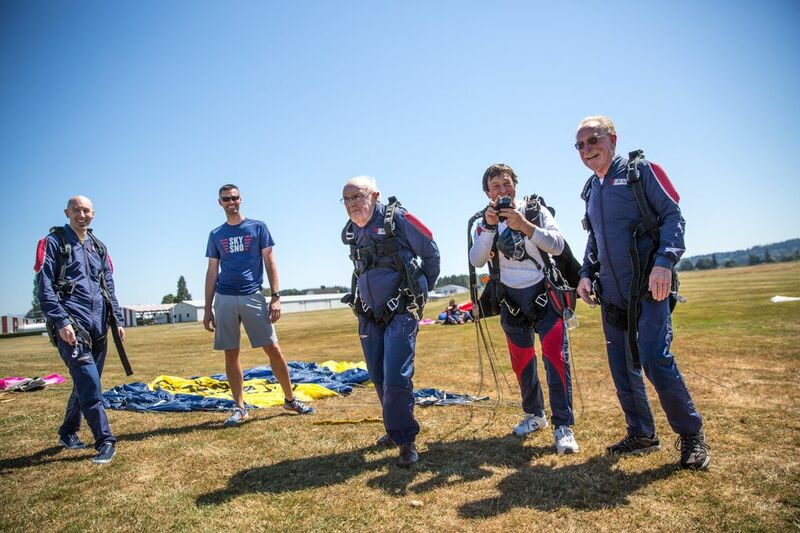 So what inspired a guy like him to take up skydiving a cool century in? 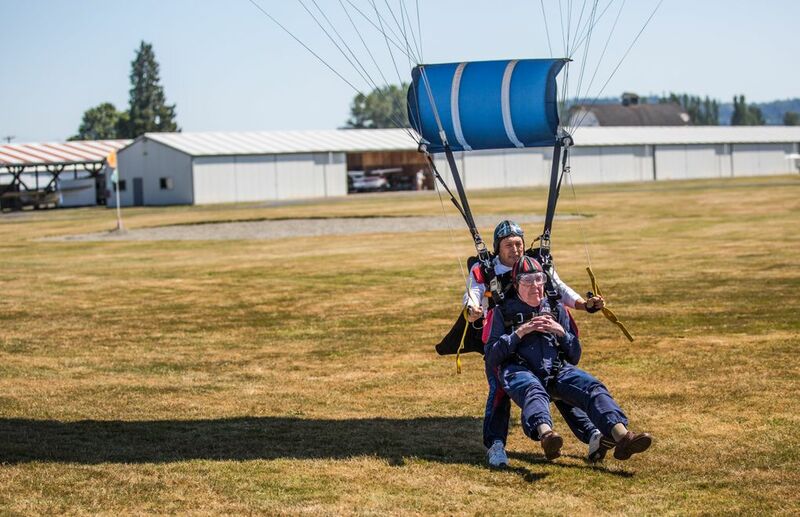 The influence of Matt Morse, who works closely with Williamson in the wellness department at his downtown Seattle retirement community, certainly had something to do with it: Morse is a seasoned skydiver who jumped alongside Williamson on Sunday (and spends plenty of time with him in the retirement community’s gym). 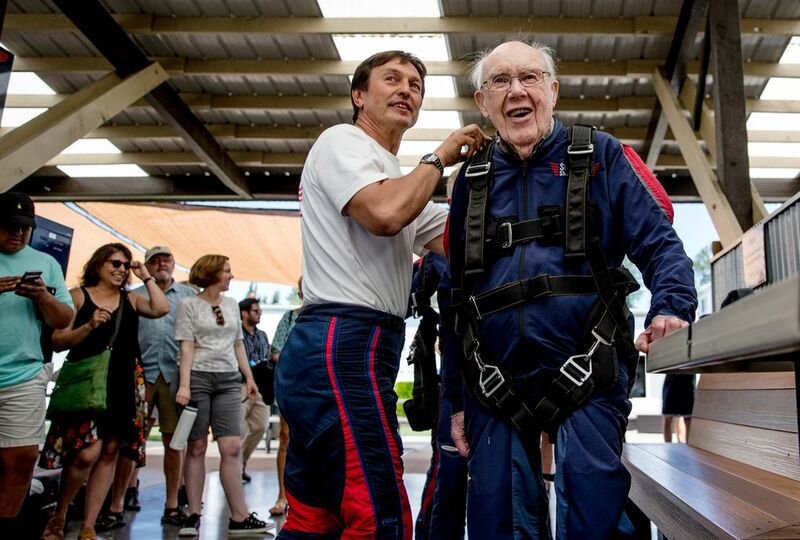 Whatever his reasons are, skydiving suits him. 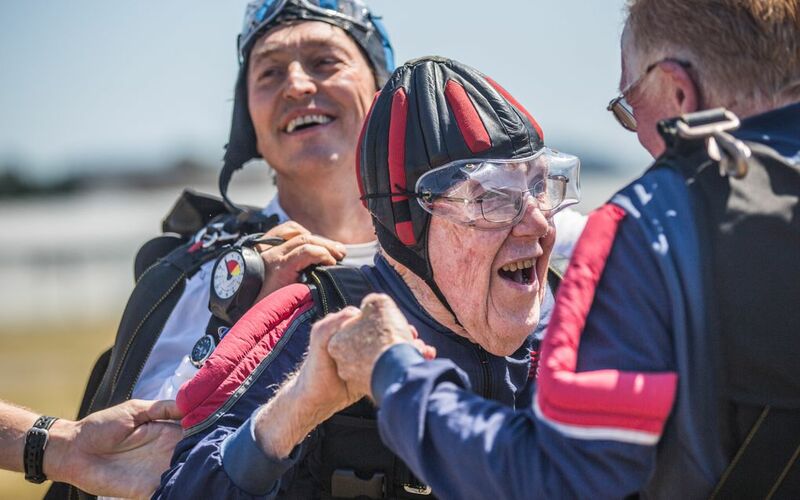 Ursachii has taken the plunge with several other senior sky divers over the years, including a 96-year-old skydiver in 2004 and an 88-year-old woman who went up for her 10th jump on Sunday right after Williamson. 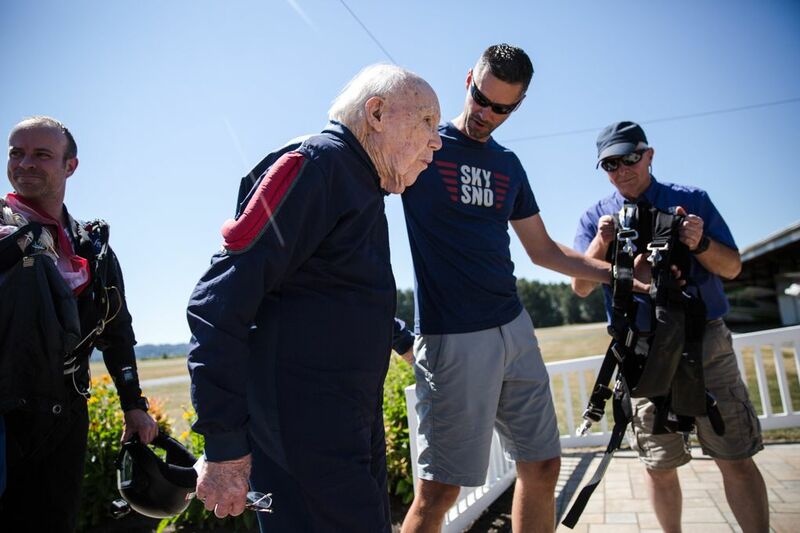 But Williamson is the oldest Skydive Snohomish has seen yet, and now he’s gunning for an even greater record: the world record for oldest skydiver, currently held by a 102-year-old New Jersey man. If he keeps up his regimen of daily oatmeal, consistent exercise, a sense of humor and regular sips of Scotch whisky, he’s got a good shot at it. 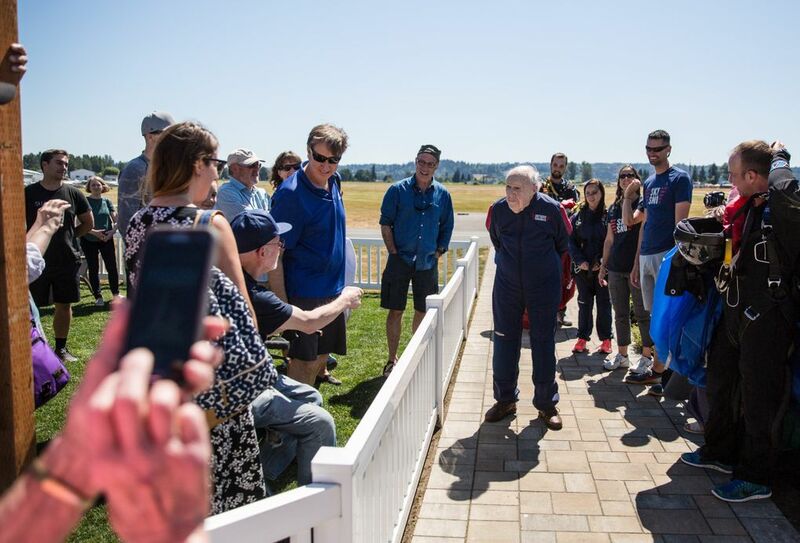 But before he makes it to 102, he has a few more tricks up his jumpsuit sleeves: stunt planes, upside-down roller coasters; anything new and thrilling.